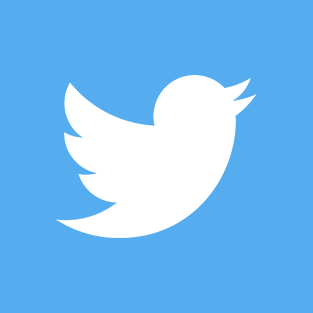 ALS from constituent expresses disgust at violence in Selma and support for the passage for voting rights legislation, TL from Harris promises his support in the passage of the legislation. Harris, Fred, 1930-. 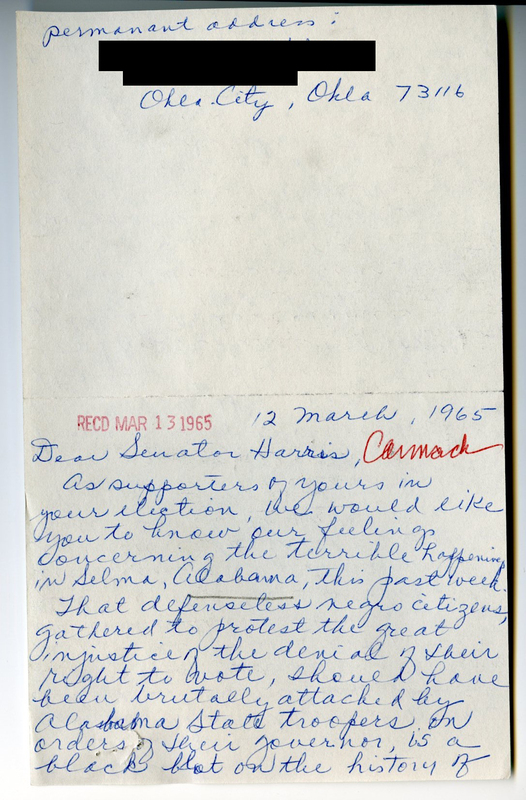 "Correspondence, Constituent from Oklahoma City, Oklahoma with Senator Fred Harris." Original Correspondence. Letters exchanged by Senator Fred Harris and a constituent from Oklahoma City, Oklahoma. Fred R. Harris Congressional Papers, Legislative Series, Box 13, Folder 3, Carl Albert Center Congressional Archives, University of Oklahoma. 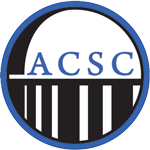 Accessed 21 April 2019. http://acsc.lib.udel.edu/items/show/26.